Park Place Motorsports takes driver and sponsor of the No. 7 VOLT Lighting Porsche Cayman GT4 Clubsport MR Alan Brynjolfsson to his second home in Southern California. Brynjolfsson named the golden state home after his daughters selected the University of Southern California as their secondary school of choice. 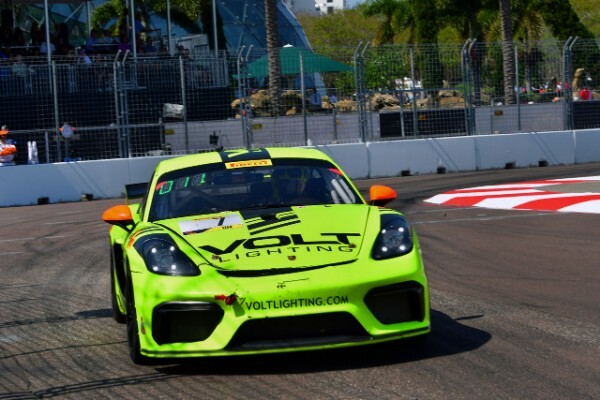 The Grand Prix of Long Beach weekend follows his true home race in St. Petersburg, Florida which was preceded by Park Place Motorsports’ home track, Circuit of the Americas in Austin for the GT4 America West series. Thus far, home track advantage has played in the team’s favor having won at each venue. Round 3 of GT4 America Sprint is a fight to repeat success for Brynjolfsson and Park Place Motorsports after winning Race One on the streets of St. Petersburg. Brynjolfsson showed no fear pushing his limits on the tight confines of the street course, taking home a win in his first ever street circuit event. Long Beach provides new challenges with uneven terrain provided by the changing asphalt of the public streets. The tight hairpin turn has been a culprit of ending race days early, and there is no doubt it will claim another victim his weekend. Park Place Motorsports Director of Race Operations Mike Johnson is watching a possible championship unfold. While early in the season, early success allows Park Place Motorsports to strategize while looking ahead. “Alan performed very well in his first street race at St. Pete, winning on his first try,” Johnson said. 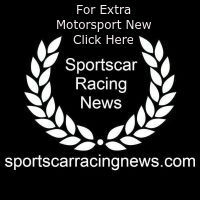 “Unfortunately, he got stuck in traffic in the second race, and right now the Cayman is not the best car coming off the slow corners which makes it difficult to pass. I think that if we can give him a good car for qualifying, he should be able to stay up front once he gets there. SRO Pirelli GT4 America Sprint takes to the Streets of Long Beach April 12-14 as part of the IndyCar weekend. Practice for the GT4 class begins Friday, April 12. Saturday, April 13 hosts a final practice session as well as qualifying. The weekend caps off with race day on Sunday, April 14. To download a detailed schedule or to watch the track-action live visit http://sro-america.com.